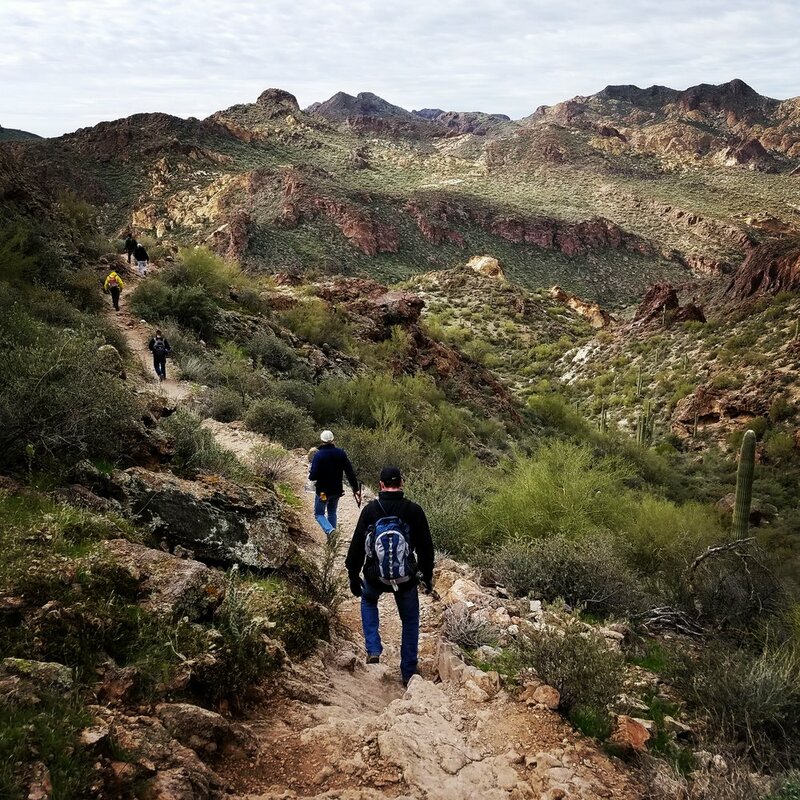 Thunderbeard is entering its third year with the Tonto Adopt-A-Trail program by continuing to maintain Boulder Canyon Trail in the Superstition Wilderness of Tonto National Forest. There we will perform quarterly maintenance clearing brush and overgrowth from the path to make the area safe and enjoyable for visitors. The trail is strenuous with 1600 feet of accumulated elevation gain, and will take approximately 6-7 hours. There are amazing views at various points on the trail, stream crossings, and perfect break points such as the backcountry campsites in La Barge Creek and Indian Paint Mine. The trailhead is directly across from Canyon Lake Marina where there is an expansive campground complex, docking services, and restaurant for after-hike steaks and beers.